When I am facing a stressful season, I do try to have food in place that is both convenient and nutritious to help ensure that I make it through the season whole. As I come out of a busy season and I am focused on rest and shoring up my body, I look for the same kinds of food — convenient and nutritious. This food is head and shoulders above most others on both counts. You can buy it canned or frozen and simply open it up and dip it out. Eat it over rice, on bread, on eggs, or right off the spoon. I have the best test of that point living under my own roof — a child who balks at most everything. He eats roe and asks for more. 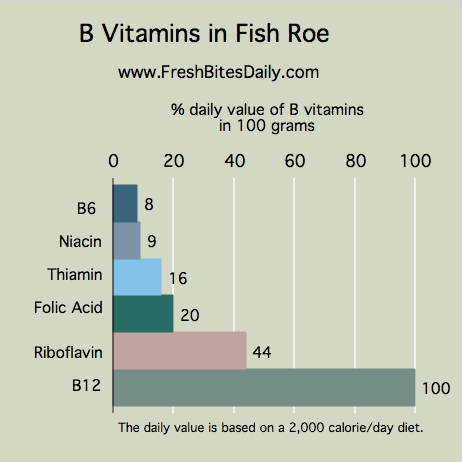 When you think of the potential “fish eggs” have for kids and the “eeewwww factor,” this stuff must taste pretty good to make it past our pre-teen critic. In fact, we had one memorable moment where my then-10-year-old held one little egg between his thumb and forefinger and said to his 3-year-old brother, “Look!” He squeezed the egg and it squirted right into his eye. I held my breath thinking he had just ruined the roe forever. To my surprise, both boys began to giggle and then they tried to replicate the eye-spraying, so much so that I had to say, “Hey, you just squeezed five bucks across the room!” and put a stop to the expensive entertainment. This is expensive stuff — it’s caviar. Keep in mind that if you want a keen justification for the price, simply compare it to the cost of a meal at a sushi restaurant. 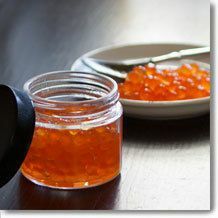 Buy the roe/ikura along with some raw salmon and make your own homemade sushi feast for a fraction of the cost at a restaurant and with far better quality. Salmon roe is a fairly expensive gourmet food. You can find it on the cheap if you’re creative and have good urban markets. I have seen it for about $40 a quart in Russian grocery stores. I’ve eaten roe from Russian markets and in travel in that region, but in my “food of recovery” vein, I look for a better sourced product. 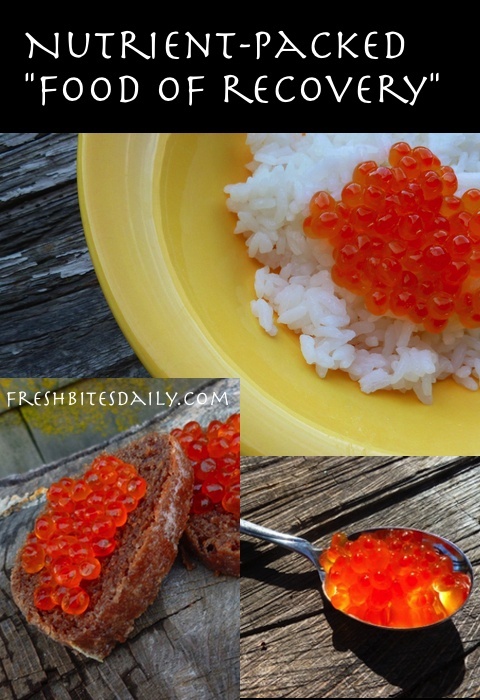 As for sourcing, our go-to product is Keta salmon from Alaska and the roe itself is prepared under the supervision of Japanese ikura experts and it shows in its flavor. The devil is definitely in the details in curing ikura and these guys get the details right. It gets the seal of approval from Monterey Bay Aquarium Seafood Watch as well, a worthy resource to check out here. 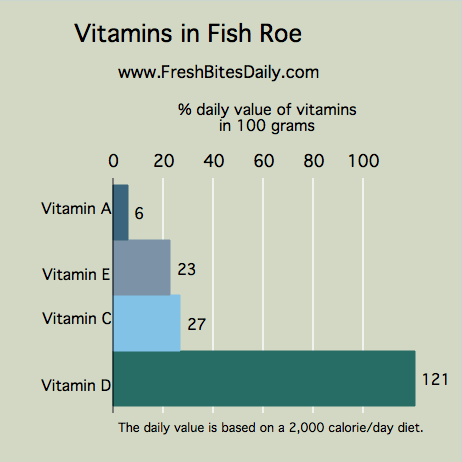 Buy the roe here in 6 oz or 2.2 lb (bulk) packages from our trusted partner. We have been satisfied customers for nearly a decade. Don’t miss it — Our partner offers wild caught and sustainable seafood: 10% off for new customers (Coupon code: VCAFINT) Click here. 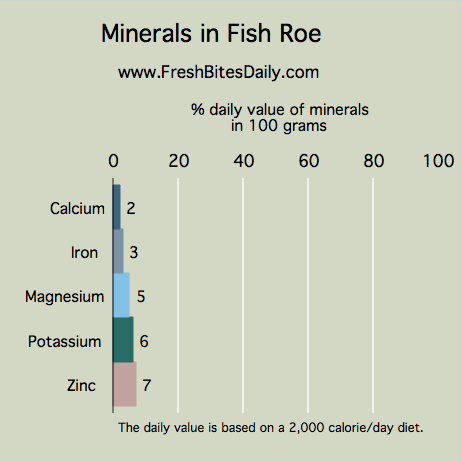 If you are buying salmon as well and making your homemade sushi feasts, definitely buy a boneless, skinless filet. This bulk package of random weight filets (here) works really well in this case. If you were cooking it you might want more uniformity in size but, in this case, uniformity does not matter. As for preparing the feast, the salmon filet will be best if it is closer to room temperature than refrigerator temperature, so you might set it out a bit before slicing it. The ikura is frozen but defrosts very quickly. Grab it an hour or so before dinner and you should be good. As for the sushi rice, check out these instructions off-site (here). You do want to shop around for the right type of white rice and rice vinegar, so plan to do that before your seafood package arrives. You can find both easily at an Asian grocery store but if it’s midnight on a Saturday and you want to get your shopping done online, you can find the rice here and the vinegar here.